I used to have a gmail account that was a convenient alias. It was set up to automatically forward mail it received to a special email address for that purpose at my own SMTP server. For example, people would send to blahblah@gmail.com, and that mail would automatically go to myblah@mydomain.com. I only logged into the gmail account for administration purposes, and received all the mail via myblah@mydomain.com. Everything worked as I wanted it to. However, last year Google made some change saying I needed to convert my gmail account to a "Google account". Unfortunately, that was very poorly defined, and it was not clear at all what that really meant, but it seemed the existing gmail account was going to go away. So, I converted as asked. Now email sent to blahblah@gmail.com gets stuck there. I can see it if I log in, but I don't want to. I went thru all (I think) menus and settings, but didn't find anything that looked like a way to tell it to forward or copy mail to some external address. There is a way to "add" a mail address, but that seems to be for aliasing the From: field, not for automatic forwarding. How do I set up a Google account to automatically forward mail to a different non-Google email address? That's exactly the problem. I can find no such thing now that it's a "Google account", whatever that really means. I donde see why you can't do the same, please share an image to see your interface. Not the answer you're looking for? Browse other questions tagged email gmail or ask your own question. 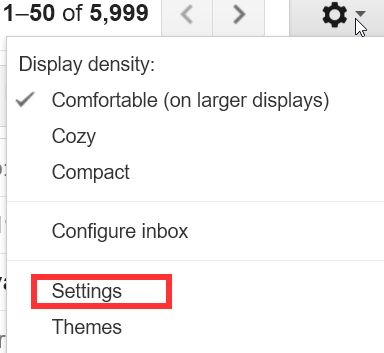 How can I automatically forward e-mail to Picasaweb from Gmail? Is it possible to forward all Gmail messages to another account *including* spam? How to forward historical emails with a filter in Google? How do I forward my Gmail to my Facebook email address? How can I automatically forward Gmail emails when a label is applied? In Gmail, how can I know when I started to automatically forward emails to a colleague?